This post may contain affiliate links from which I will make a literally tiny commission if you happen to buy anything. One of Spain’s most popular tourist attractions the Alhambra has been inspiring travellers for centuries. Recently this Moorish architectural wonder has been chosen to feature in Lonely Planet’s new guide to the world’s 120 greatest man-made buildings. 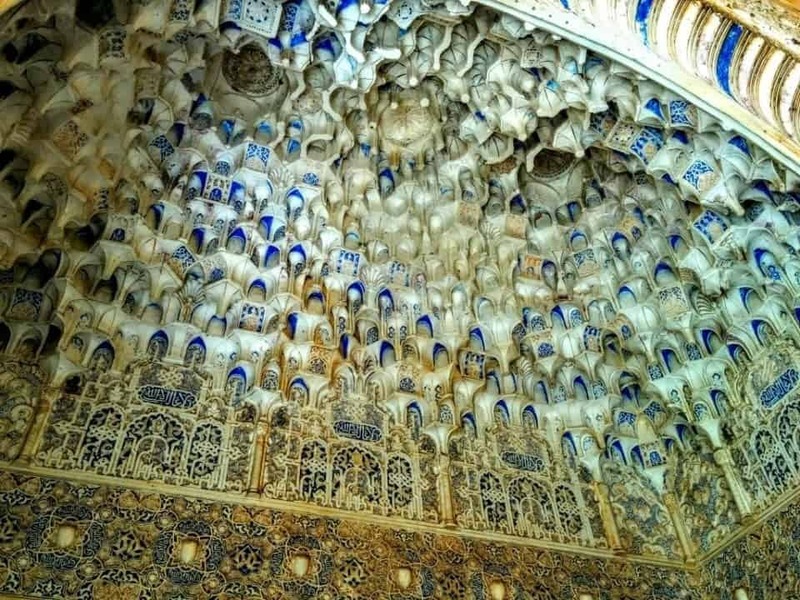 It can be tricky though to sort out how to get Alhambra Palace Tickets online when you are a world away. So here is all the information you need to know to obtain your Alhambra Palace Tickets. Perched atop the red hills of Sabika with the Sierra Nevada Mountains in the background, the world heritage Alhambra attracts up to 6000 tourists per day. It would probably bring in thousands more but the Spanish government is determined to preserve this spectacular piece of history and so allows only 6000 tourists in. The Alhambra houses some of the most important Islamic architecture in Europe. 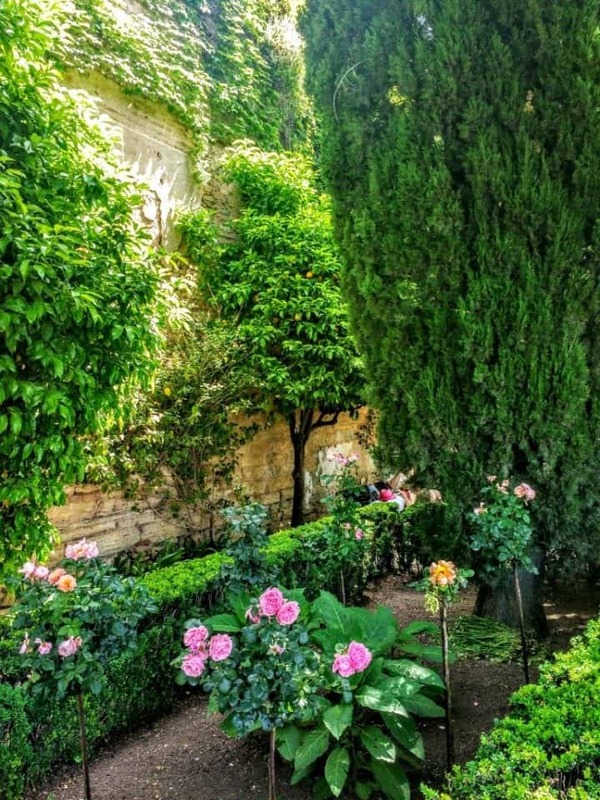 The area of the Alhambra itself includes the Generalife Gardens and the Palacios Nazaries from the 14th century. This does tend to get a little confusing when tourists and travellers are trying to book their tickets to the Alhambra. You will be shown a variety of tickets to choose from and here is an explanation of all of them and ways to purchase the tickets. This is the oldest part of the Alhambra, which is a fortified military enclosure with towers and surveillance posts where the soldiers lived. It includes the famous Torre (Tower) de la Vela with stunning views of Granada. The Nasrid Palace was the residence of the sultans of Granada, and they are a set of palaces and courtyards built at different times. 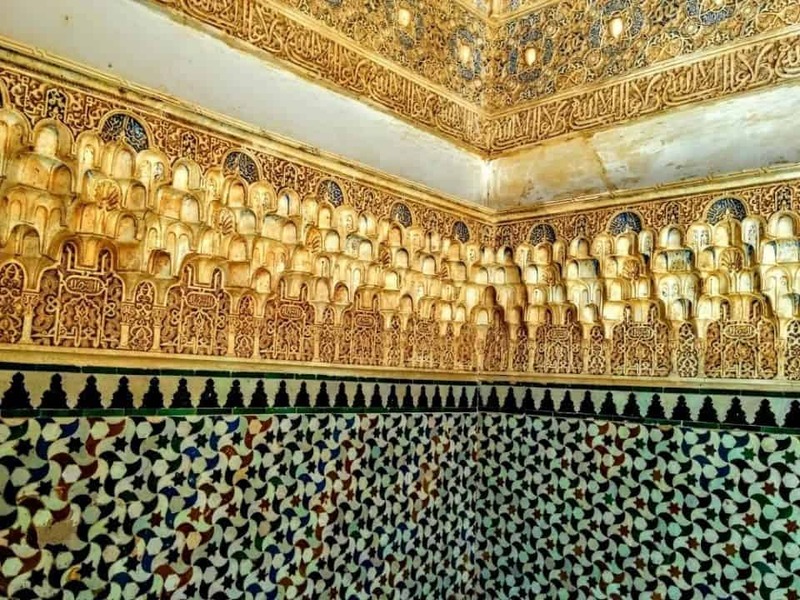 These include the Patio de los Leones, Salón del Trono, Patio y Cuarto Dorado, Palacio de Comares, Patio de los Arrayanes, The Mexuar, Court of the Myrtles, the Ambassadors’ Room and more. This is the area or country estate that contains the stunningly beautiful gardens used by the Sultans of Granada as a place of rest and summer residence. To enter each of these areas you require your tickets’ The Nasrid Palace visit must be at the exact time arranged otherwise you will miss seeing the Palaces as you will not be allowed to enter. The gardens and the Alcazaba can be visited at any point during your visit. 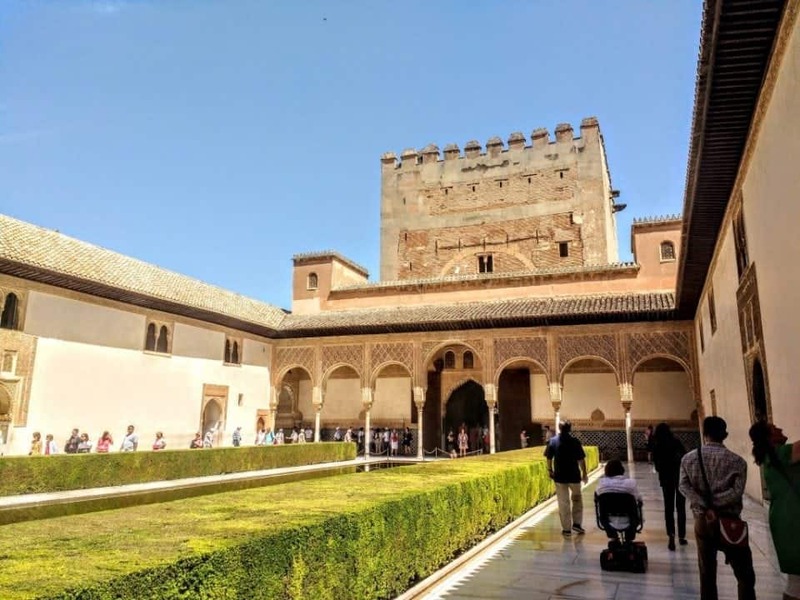 It is recommended to allow up to 4 hours to visit the Alhambra but in my experience, I would like to spend twice as much time there as it is an enormous complex. 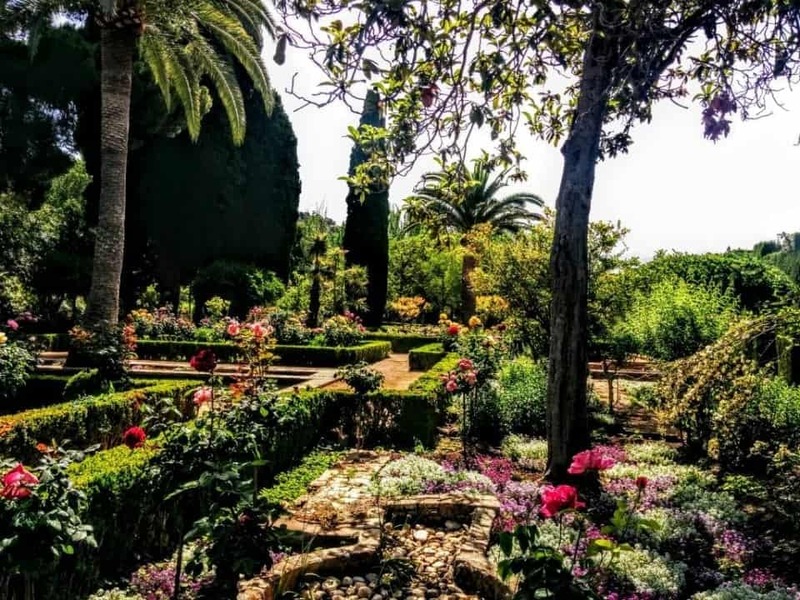 In fact, I would come back and purchase a ticket for the Gardens, as it is almost impossible to truly see them without spending hours getting lost in these amazing gardens. The Alhambra is an incredibly popular location as you can imagine and only 6000 or so visitors are allowed in per day to protect the site. 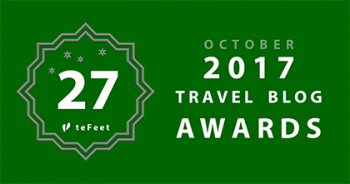 You should book your tickets online at least 3 months in advance to get into the various areas you wish to see. 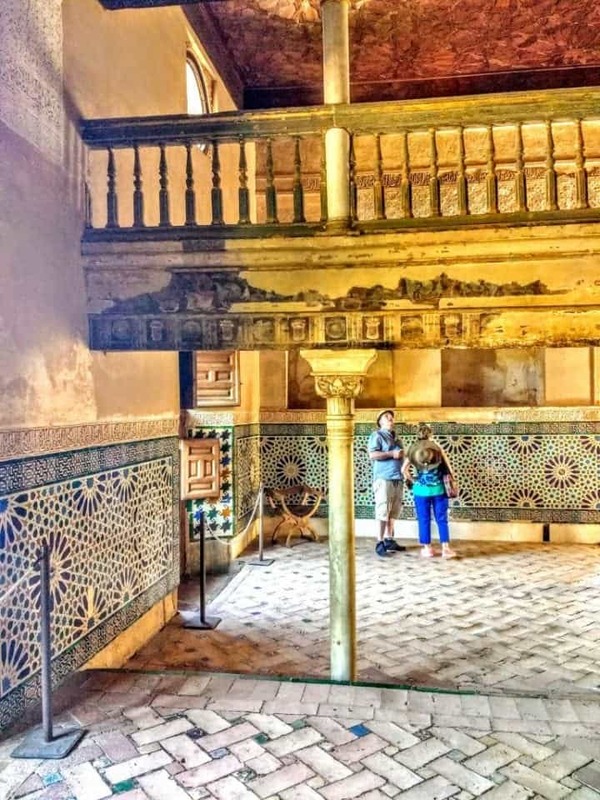 Your ticket includes a visit to the Nasrid Palaces, you can choose the time you want to visit the Palaces but you must be at the line before your allotted time or you won’t be allowed in. See below for more details on this aspect of your visit. Generalife and Alcazaba: just the gardens and the Alcazaba not the Nasrid Palaces 7 Euros (daytime). Night Visit to Nasrid Palaces: 8 Euros. Night Visit to Generalife the gardens only: 5 Euros. In an authorized Travel Agency or buying a guided tour. Children under 12 years of age are free but you must indicate that you are entering with a child when buying your ticket. You can buy tickets to the Alhambra Palace by calling (+34) 858 953 616. Tickets to the Alhambra can be purchased between two hours and three months in advance of the visit. You can choose the time of entry to the Nasrid Palaces. The tickets can either be mailed to you or emailed. When you have purchased your tickets, you will have to print them or take the reference code for the ticket purchase to the ticket booth at the Alhambra gates for entry into the grounds. You cannot change the day and time of entry. You can only return the ticket and buy a new one if there are tickets available. 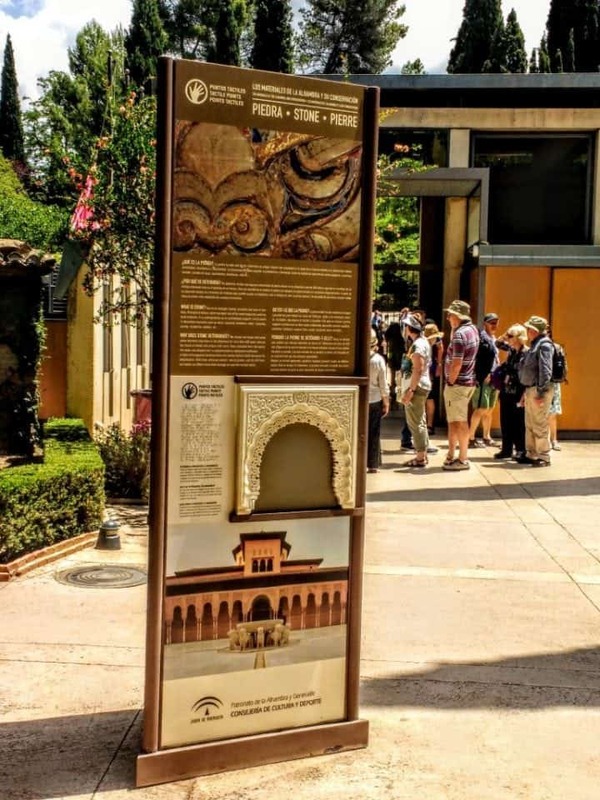 The other way to get Alhambra tickets when they sold out is to purchase a City Pass, which includes entrance to the Alhambra and entrances to other monuments and museums, free urban bus trips, and other benefits. There are two types of City Pass: 3 days and 5 days for adults and children. These Granada Cards may also be sold out, particularly during high season or holiday times. You can find more information here City Pass. You can also book a guided tour. There are several companies that sell these tours; the price is between 30 and 60 Euros. You can take the red minibus Alhambra Bus C3, which leaves every 10 minutes from Plaza Nueva to the Alhambra. The stop where you need to get off is called ‘Generalife‘. Ticket cost is 1.20 Euros; you can buy the bus ticket directly on the bus. The best way is to walk to the Alhambra is down the Cuesta de Gomérez from the Plaza Nueva; enter the grounds of the Alhambra through the Cuesta de Gomérez. I wouldn’t recommend this walk unless you are quite fit as it does take around 30 minutes and it is all uphill. Once you reach the top of the hill, you will see the stairs leading up to the Gate of Justice (Puerta de la Justicia) which will be on the left-hand side. 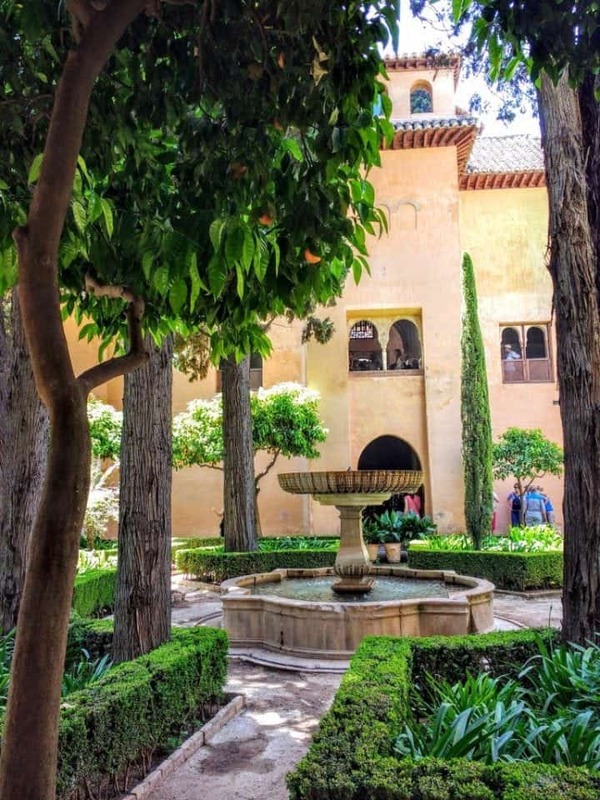 This walk takes you near the Alcazaba and the Nasrid Palaces, which is great if you have a ticket ready but if you don’t you will need to walk another 15 minutes or so to the main entrance. Depending on where in Granada you are, staying the taxi ride to the Alhambra will take around 10 minutes or so and cost from around 7 Euros up to around 15 Euros. We drove to Granada from Salobrena, which is about an hour or less on the coast. Cars are obviously not allowed on the grounds but there is an enormous parking lot before the main entrance and the cost is around 2.50 Euros per hour. There is parking for buses, trailers and caravans. In Salobrena, we booked our apartment through HomeAway which provides some fantastic options for lodgings all over Spain. You can reach the parking by Ronda Sur ring (N-323, A44), the highway at the southern tip of Granada that borders the city. 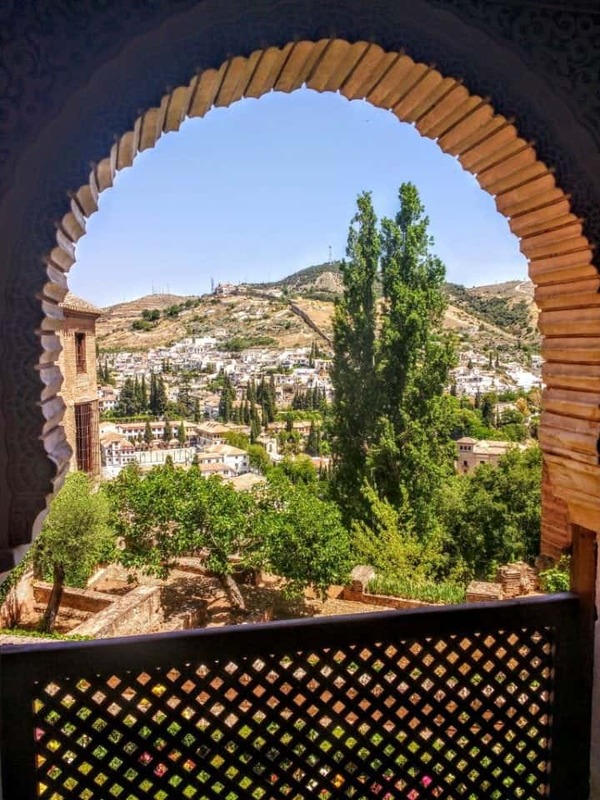 If you are staying in Malaga and want to go visit the Alhambra this is the perfect post for you by Sally Akins of her weekend in Malaga and the drive to visit the Alhambra from Malaga. Interested in hostels in the Granada area? 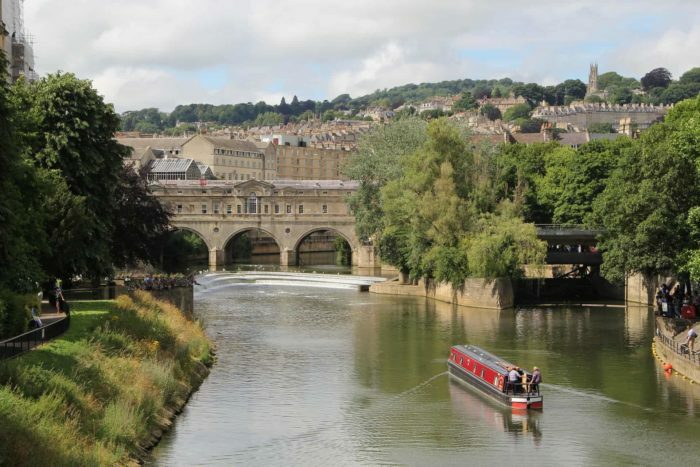 Tom has a great blog post on which hostels to stay at. Fancy a bit of glamping? 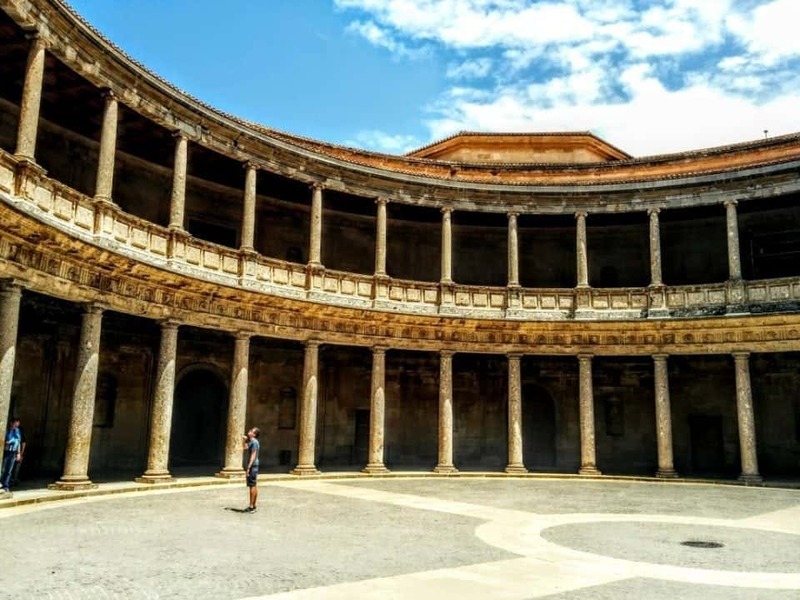 Check out this cool article by Paulina on the Road about when she was glamping in the cave houses of Granada – a definite must do. The Parador at the Alhambra is ideally located right within the Alhambra grounds. It is a luxury hotel with the finest of amenities and superb food offerings. This former 15th Century monastery has been converted into a luxury hotel. The restaurant offers locally sourced produce and specialises in Andalucian cuisine. The Hotel America within the Alhambra is a small 17-room hotel with beautiful decor and a small restaurant with a peaceful garden patio. 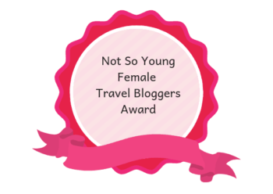 The Educational Tourist blog by Natalie has a great review on a small budget hotel in Granada called the Landazuri. If you are on a tight budget this could be the perfect location for your visit to the Alhambra. Once you have purchased your tickets and set your times to visit the Nasrid Palaces I would highly recommend you get there at least an hour before your scheduled time. Once you enter the gates of the Alhambra, you will become entranced with the beauty of the place and may end up missing your time. It is also quite a walk from the entrance to the Nasrid Palaces and the way is not very well marked. 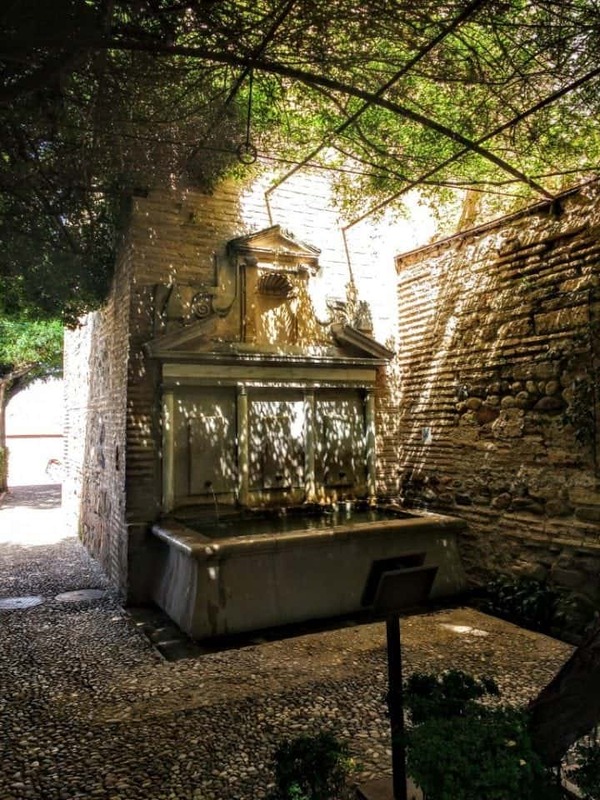 When you enter, the complex you will walk for at least 15 to 20 minutes down a beautiful pathway beside the gardens called the Calle de Real de la Alhambra and end up in a square and to your right will be the Museo de la Alhambra. The Nasrid Palaces are behind this Museum. 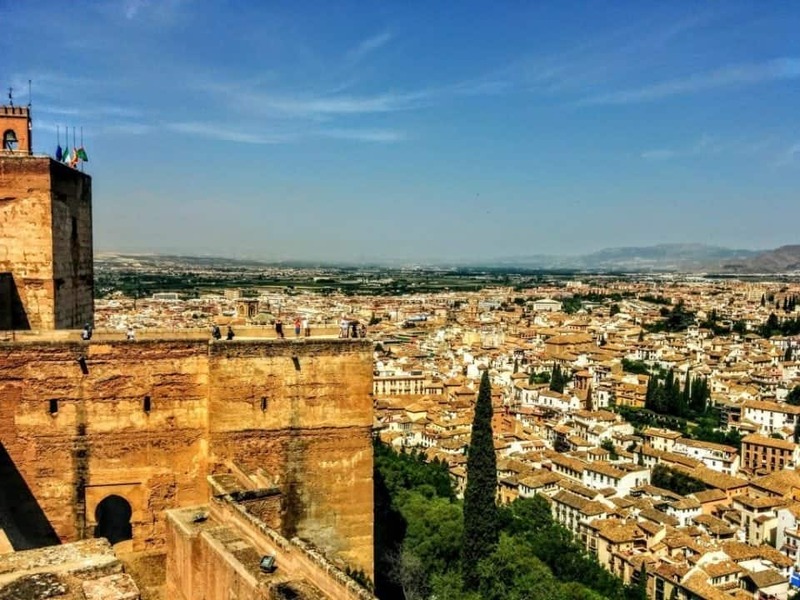 If you have children and want to take them to visit, the Alhambra is sure to read Natalie’s article from The Educational Tourist blog about visiting Granada with kids. My advice would be to ensure you have a wheelchair to make the trip through the area easier. You could then just take a tour of the Nasrid Palaces and a leisurely journey through the gardens after you see the Palaces. You should also know for those of you with young children strollers are not allowed into the Nasrid Palaces. 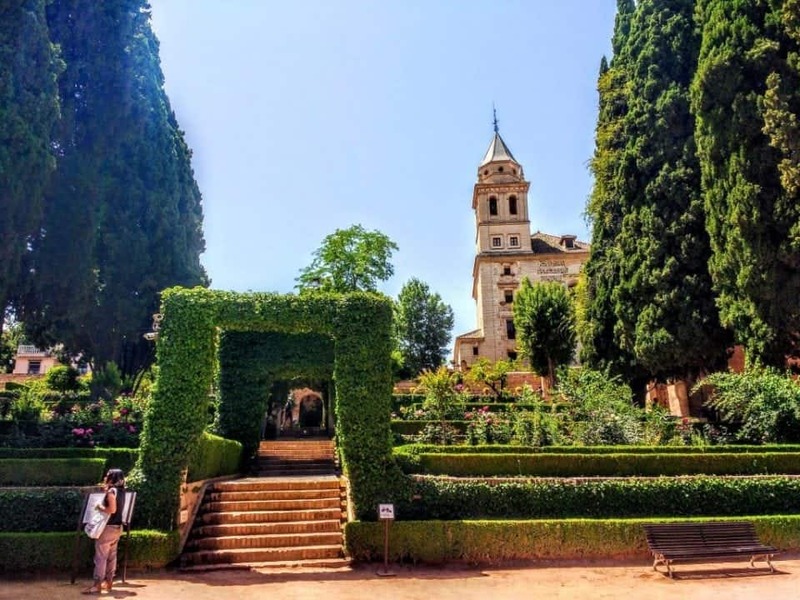 There is not a lot of choice within the Alhambra for food so if you get the chance to pack a picnic you can have a lovely lunch in the gardens. There are two hotels on the grounds of the monument both of which offer beautiful rooms and some great food. The Parador is a beautiful location with spectacular views over the Gardens and they serve a more upmarket) read expensive lunch) but well worth it for the views. There is also a small hotel called the Hotel America on the walkway to the centre of the complex where you can get a very nice lunch for 18 Euros served in the outdoor courtyard. 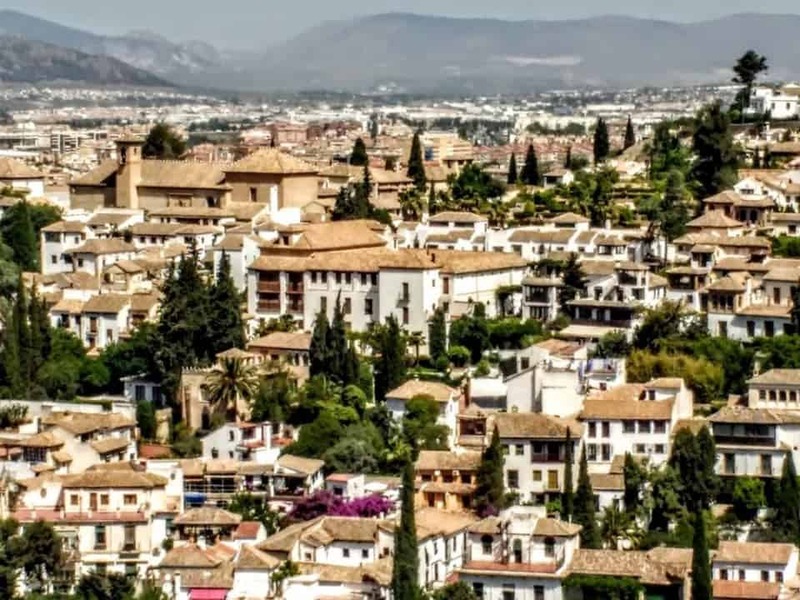 As you drive up to visit the Alhambra, you see the monument sprawled across the top of Sabika Hill overlooking the old Moorish quarter of Granda the Albaycin. In the background are the snow-covered Sierra Nevada Mountains. You can make the silhouette of over the Alhambra’s over 30 towers of which no two are the same or even similar. From the outside and a distance, it looks incredibly imposing but you don’t get a hint of the beauty that lies within. The Alhambra houses some of the most important Islamic architecture in Europe. The fortified complex was first built as a walled citadel in AD 889. Often described as the last Moorish stronghold. It was later rebuilt as the palatial seat of the city’s Nasrid emirs, the last Arab Muslim dynasty in Spain. The name Alhambra is derived from the Arabic al-qala’a al-hamra meaning “the red castle”. The Christians later claimed the Alhambra during the 1492 reconquista when the mosque was replaced by a church before the Holy Roman Emperor Charles V demolished a wing of the palace and replaced them with a giant Renaissance building. In the early 19th century, French Napoleonic troops tried to blow the building up, partly destroying it, and restoration has continued for over 200 years. 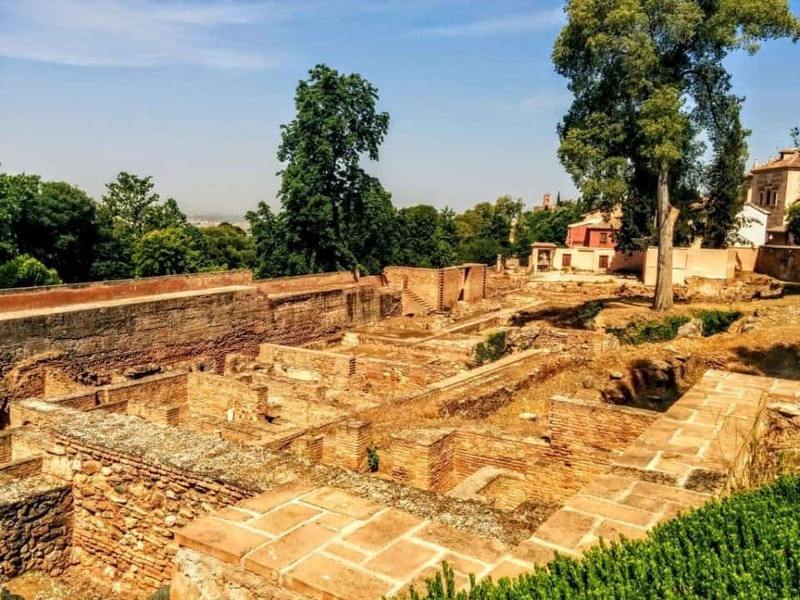 The easiest way to understand the complex is by the division of four distinct areas: the Alcazaba, Palacio Nazaries, Palacio de Carlos V and the Generalife. 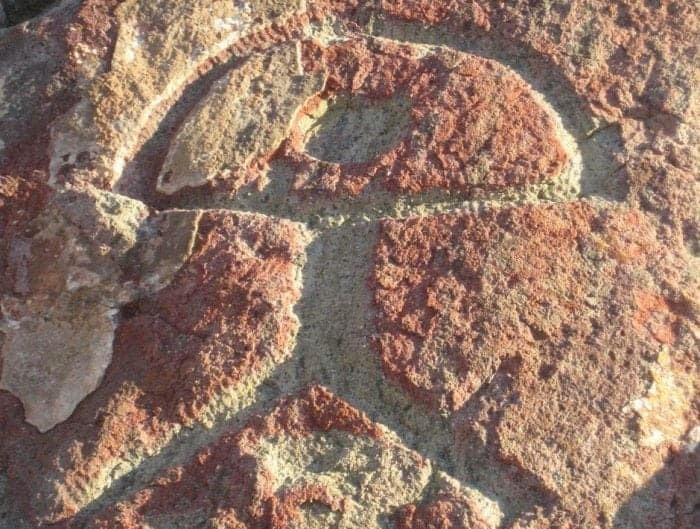 The 13th-century Moorish fortress of the Alcazaba is the oldest surviving part of the complex. Built partly on even older remains, it’s set strategically at the highest point of the hill and its southern edge is flanked by terraced gardens of elm and cypress trees. It was the first Nasrid Sultan of Granada, Mohammed I, who ordered its construction when he made Granada his capital. It served as the royal residence until the palaces were built in the 14th century, after which it continued as a military compound. The Palacio Nazaries marks the height of the Nasrid dynasty’s rule and was the sultans’ headquarters and home. 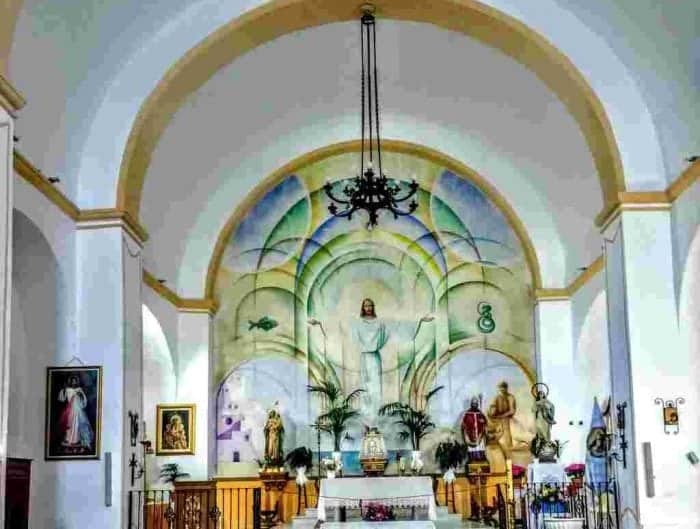 It is an incredible space that was built from brick, stucco and wood which belies its stunningly decorated interior rooms, halls and garden spaces. 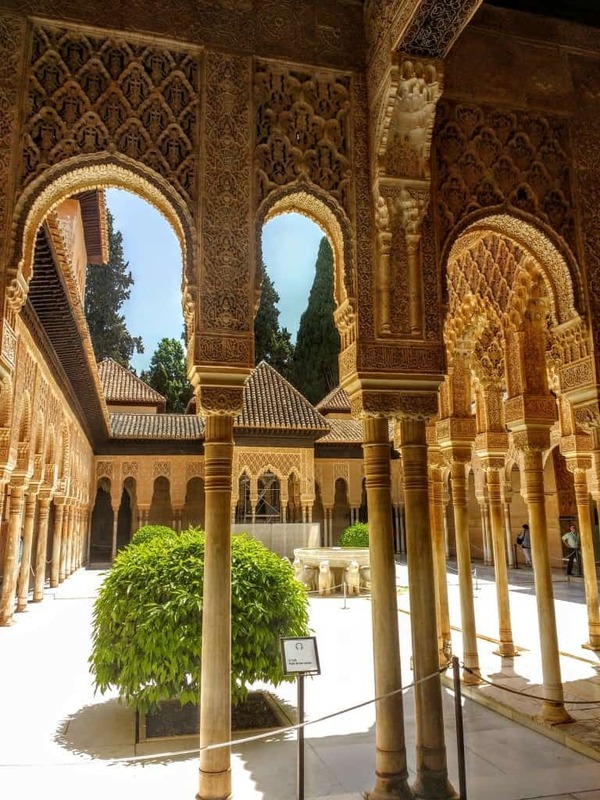 The eighth Nasrid ruler, Muhammad V added the finishing touches to the palace with the addition of a harem and the justifiably famous Court of Lions, which is a central arcaded patio supported by 124 columns. 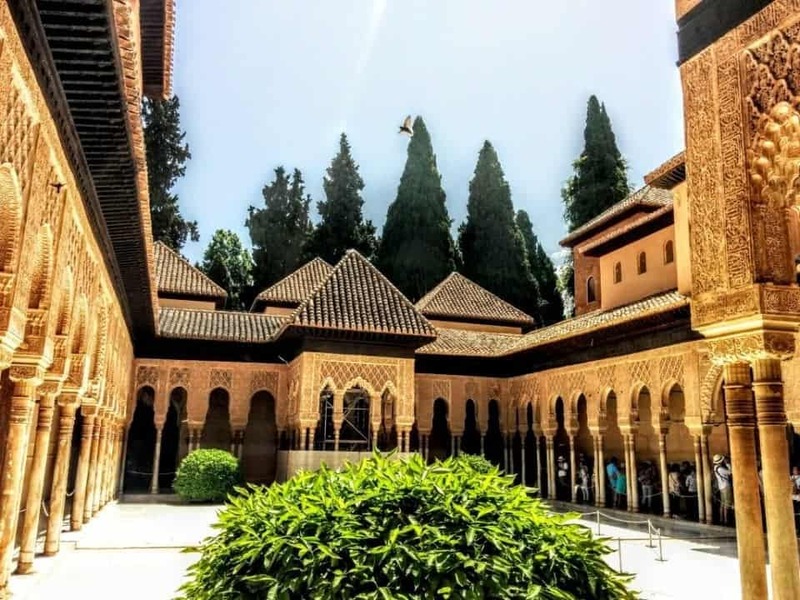 It was Queen Isabella of Castile and King Ferdinand II of Aragon who expelled the last of the Nasrid rulers in 1492 and they set about making the Alhambra a Christian complex. They began building the Palacio de Carlos V and although this early 16th-century addition was never finished, it is still a fascinating piece of Renaissance architecture. 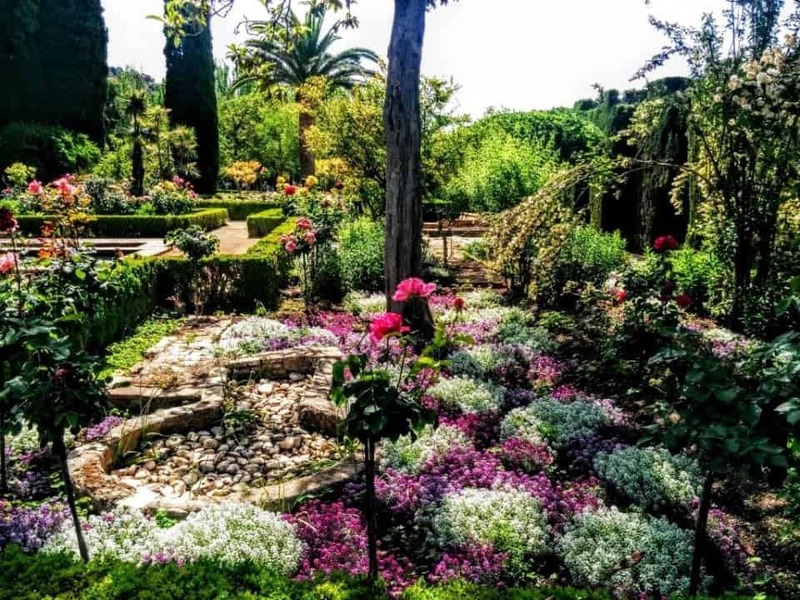 The final attraction, which is best left to visit last as you may not want to leave and you will definitely want to come back to visit again is the Generalife Gardens. The word Generalife is the castilianisation of its Arabic name Yinan al-‘Arif, a garden of the Alarife (architect). 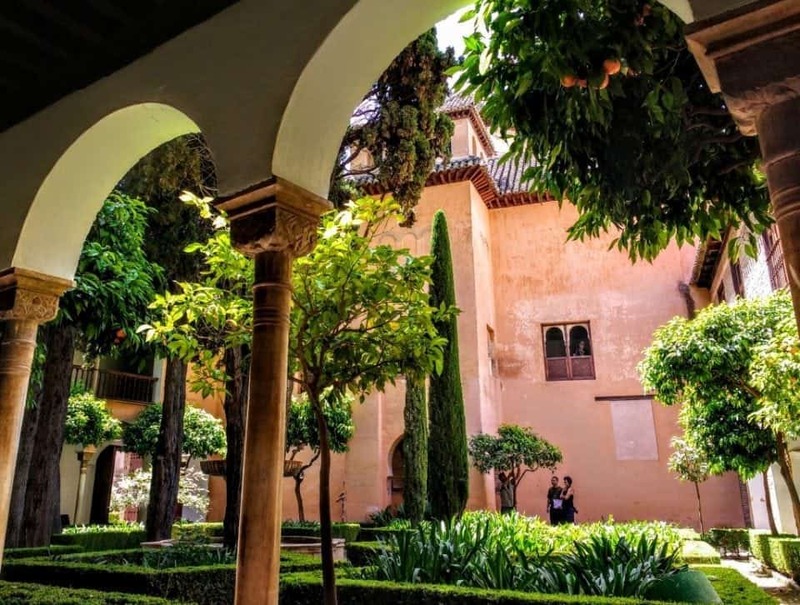 These gardens contain the Sultan’s pleasure palace and gardens which incorporate Moorish gardening traditions, the use of water and gardens of both fruit, vegetables and flower. The gardens also show Renaissance and contemporary gardening techniques, which have been incorporated as a result of the increasing concern over maintaining authentic gardening techniques. The Alhambra is separated from the Gardens by the ravine of the Cuesta de los Chinos and was a retreat for the sultan when he wished to escape the stresses of ruling. The Alhambra and gardens were lived in by successive sultans but after the conquest of the City, the property was turned over to the Catholic monarchs of Spain. In the middle of the 16th century, Philip II of Spain ceded it to the Granada-Venegas family, who became the marquis and marquise of Campotéjar, until it was handed over to the state in 1921. The Alhambra and the Generalife Gardens are now considered one of the world’s most impressive man-made buildings and landscapes and are a stunning example of how these kinds of buildings can be preserved and appreciated for centuries to come. If you are backpacking on planning on it in Spain check out Vidyut’s blog Triplyzer for some great backpacking in Barcelona tips. Granada is an incredibly beautiful place to stay there is just so much to see and experience beyond the Alhambra. 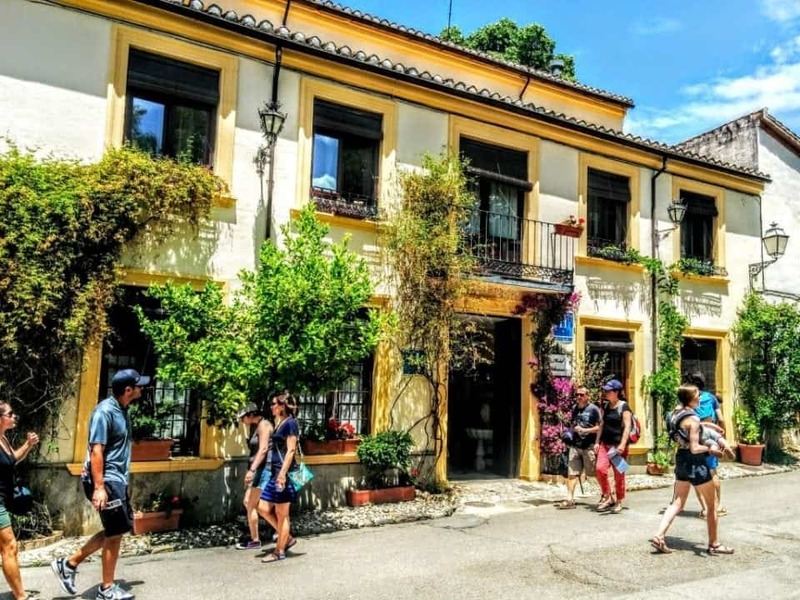 Check out Perri’s great article on a Weekend in Granada it will give you a load of ideas and tips for staying in Granada for a few days. I hope you enjoy your visit to the Alhambra as much as we did. Would love to hear what your favourite part of your visit was. I like that they are protecting it by limiting how many people can experience it per day. We would definitely enjoy the gardens. Really incredible how well preserved everything is for how old it is. I’m glad that they restrict visitors to better preserve the site. 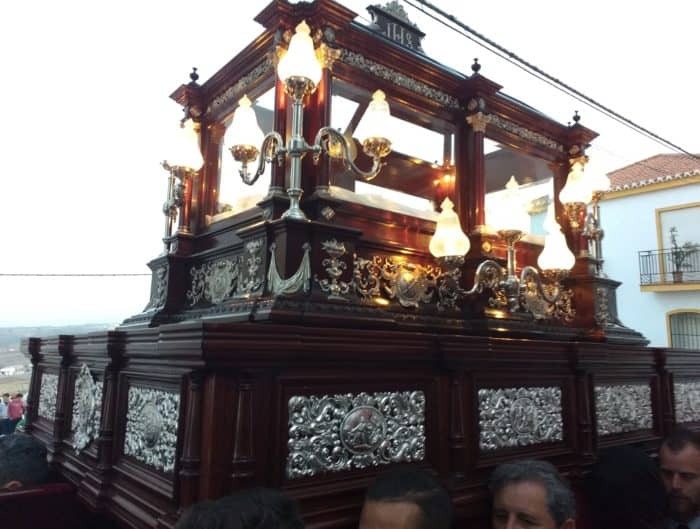 It looks gorgeous and the history is incredible!